Attention all Lucio Mains: The Amp It Up Speed Run Games Have Begun! Show off your wall riding skills and claim the throne for World’s Fastest Lucio! What Are The Amp It Up Speed Run Games? Each week a new time trial challenge will be thrust upon the Lucio community. The fastest Lucio to complete the challenge will hold all the bragging rights and will be crowned “That One Lucio That Beat All Those Other Lucio’s At That One Thing That One Time”. Up for grabs is a FABULICIOUS prize awaiting our One True Boostio Overlord! Oh, oh, oh, time to accelerate… With the hype of the latest uprising event, what better map to start on? Start your wall run before leaving the spawn. You are allowed to use any of the spawn exits – experiment with the fastest route! Woo, nothing’s gonna stop you. Make a super hero landing on the center of the final point by using your ultimate – when you touch the ground, the timer stops. The timer starts the second you leave your spawn. 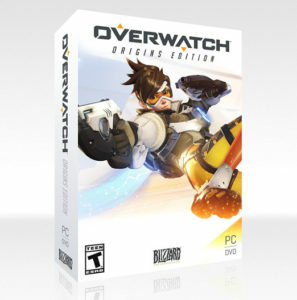 Up for grabs is a free copy of Overwatch. Introduce a friend to one of your favorite games. Use it as your Junkrat only smurf account. Gift it to that lucky lady to win her heart. There’s also another special prize in the works… But you’re gonna have to wait until next week to find out what that is. Imagine telling your children twenty years from now how you met your mother! Make sure you drop a link to your video on this article, the Reddit thread or the YouTube video. Make sure we see it! Upload your run before 20:00 British Summer Time – 21st of April. If your video is not published and linked by that point, you will miss out on the prize. Keep in mind that no one will hold the record forever! This deadline is only for the prize. The best speed running time will always be up for grabs! Get Involved – Double Time! Which map would you like to see featured next? What wacky challenges can you come up with? Are you more creative and funny than me? Where did I miss a hilarious pun that my simple mind overlooked? Come on, let’s bring it together! Let’s try to get a community competitive event running on a weekly basis! Tell your friends, notify the discords, hit up your favorite streamers to see if they’re up for a challenge! I think if we all work together as a team, we’re gonna do great. This is laughable at most.